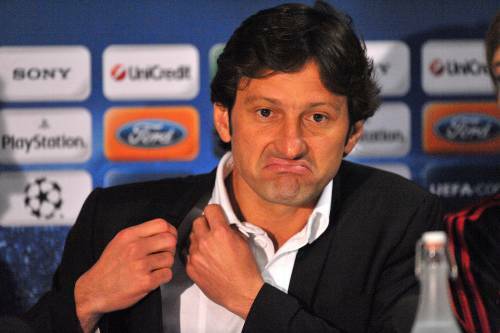 Leonardo To Quit AC Milan In The Summer? According to Il Corriere Dello Sport, AC Milan’s Brazilian coach Leonardo is considering leaving his post at the end of the current season due to a series of disagreements with the club’s directors, executive management and owner – the highly critical Silvio Berlusconi. The former Milan midfielder, now 40, still has a year left to run on his current contract with the Rossoneri, but may enter into negotiations with the club to terminate the deal by mutual consent. The publication goes as far as to speculate that Leonardo may be tempted into taking the reigns of the Brazilian national team from current coach Dunga, with the view of guiding Selecao to World Cup glory on home soil in 2014.
come on people. he is better than Ferara, milan need more world class player.